A popular walk during the Islay walking week is the walk to the summit of Beinn Bheigier, the highest hill on Islay at 491m. While it was a bit hazy during our walk in 2014 we still enjoyed some great views. 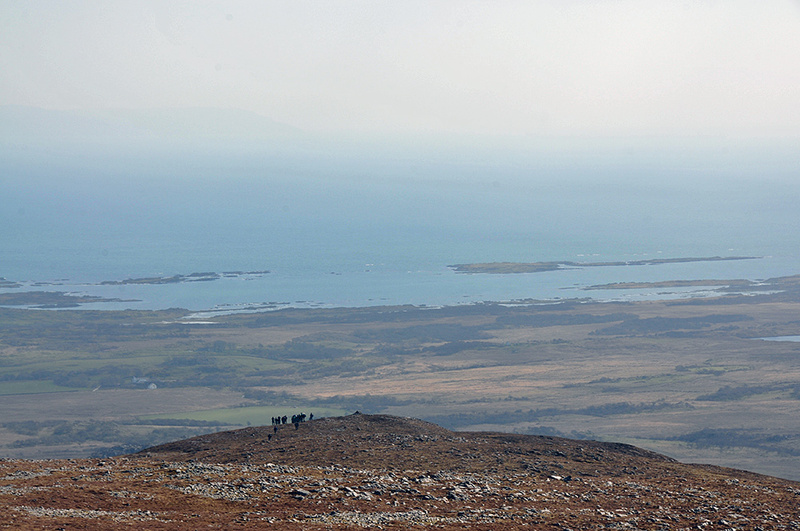 This view was as we were descending towards the south, looking over Ardtalla and the Southern Skerries. This entry was posted in Cloudy Weather, Landscape, New Post, Sunny Weather and tagged Ardtalla, Beinn Bheigier, Islay, Southern Skerries by Armin Grewe. Bookmark the permalink.